Host cannot download files from VMware vCenter Update Manager patch store. Check the network connectivity and firewall setup, and check esxupdate logs for details. This error has been haunting me for quite some time now. When I tried to setup and get VMware update manager working late last year I came across the above problem. I did some fixes but none seemed to work and due to there being a very large amount of work happening I put it on the back burner. Now if you have read my blog posting about the distributed virtual switches you would have seen the need to keep your servers up to date on the latest patches as well as the obvious reasons of security and bug fixes. So early March this year I decided I was going to get VMware Update Manager working so I didn’t have to use esxupdate to patch my vm’s. My previous problem I believed were down to me using an older version of VUM and possibly because I had it installed on a highly utilised Virtual Centre Server I decided to build a dedicated server for VUM and do it all to the exact specifications VMware tell you to and install the latest version. Seeing as I have spent some time trying to get this problem fixed I have found some brilliant blog postings and tips for fixing this problem as well as others that stem from this error. Jason Nash’s (@nash_j) blog posting was probably my first port of call when I tried to fix the problems I was having last year and I still checked the DNS settings this time to make sure everything was as it should be. The next one was from a VMware communities posting someone had put up with problems sounding very close to the problem I was having. One of the replies recommended checking that the update manager port is open on the esx hosts firewall which is a very important part to check as by default this isn’t open and so can cause you problems with Update manager. Next is the one I kept coming across and is the one I felt was causing my problems when I installed it previously. This is the problem where the port information in the vci-integrity.xml file is incorrect. For me this wasn’t the problem as it has now been fixed in Update Manager 4.0 Update 1 but if you are using the previous versions of update manager this is more than likely your problem and the steps should fix your problem. Personally I installed Update Manager 4.0 update 1 Patch 1 to make sure all the bugs I could possibly avoid I would. There are also so many great resources of how to setup and manage VUM I decided it would be helpful to list the links I used to to set it all up as VMware have done some brilliant videos detailing the processes. Next I used the steps detailed in the video demo by VMware of how to setup baselines and baseline groups to setup my baselines and baseline groups. Then finally I used the guided tour demo to scanning and remediating with VUM. to do my scans and obviously remediate my esx hosts. Thankfully now it’s all working correctly and I can finally use Update Manager. 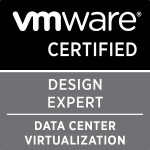 Categories: Virtualisation | Tags: DNS settings for VMware Update Manager, Host cannot download files from VMware vCenter Update Manager patch store. Check the network connectivity and firewall setup and check esxupdate logs for details, MetadataDownloadError, ODBC DSN on a 64 bit OS, Update Manager ODBC, VCP4, VMware, VMware Update Manager, VMware Update Manager port 9084, VUM sizing Estimator | Permalink.